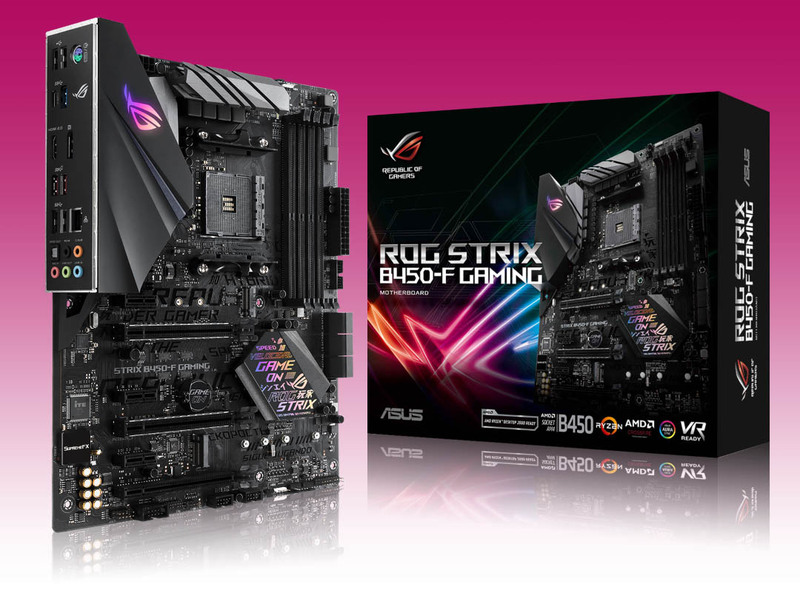 ASUS announces that the ROG Strix, Prime and TUF Gaming series motherboards built on the AMD B450 chipset and supporting the latest AMD Ryzen™ processors are now available. AMD’s Ryzen platform offers an incredible desktop compute experience with multithreaded horsepower plus accessible overclocking and gaming prowess. Earlier this year AMD launched the second-generation Ryzen family with the updated X470 chipset designed to further enhance the performance of higher-end gaming and content creation rigs. Now, AMD is launching the B450 chipset for a new generation of affordable motherboards. The B450 is streamlined for straightforward builds and smaller form factors. The ROG Strix B450-F Gaming elevates the platform with signature features for serious gamers while the TUF B450M-Plus Gaming focuses on essentials and durability. 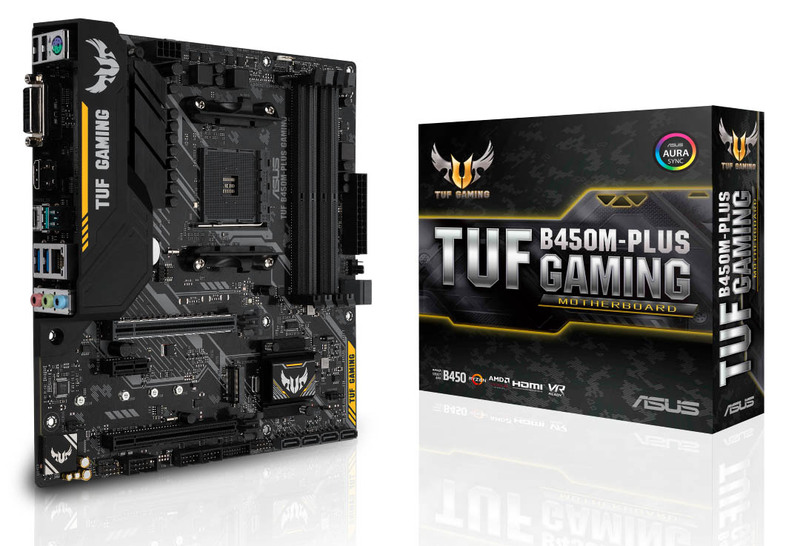 More than just motherboards, TUF has grown into family of gaming components that includes ASUS products alongside hardware from industry partners in the TUF Gaming Alliance. Battle-hardened styling permeates the lineup, letting gamers easily put together a distinctive system that matches inside and out. While styling sets TUF Gaming apart aesthetically, it also matches the military-grade components populating the PCB. High quality TUF Components comprising MOSFETs, chokes, and capacitors help to ensure long-term durability. For B450, ASUS created the TUF B450M-Plus Gaming motherboards based on ATX and micro-ATX form factors. They share the same basic specs, with support for up to 64GB of DDR4-3200 memory, dual graphics cards in CrossFireX, 8-channel HD audio with DTS, and extensive connectivity options. ROG is the original gaming motherboard brand, with roots that go back more than a decade to the very first Crosshair, which was also built for AMD processors. 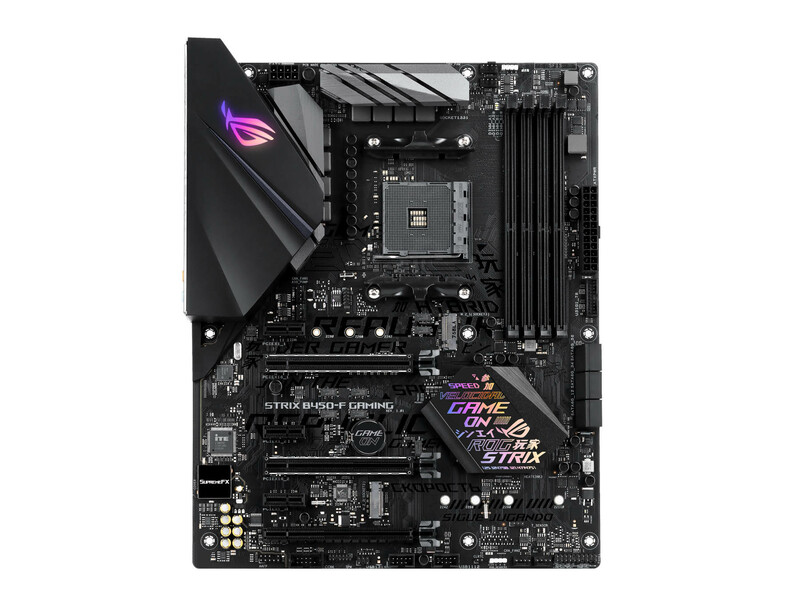 The latest ROG Strix X470-I Gaming and ROG Strix X470-F Gaming motherboards bring the enhanced features and functionality users expect to both mini-ITX and full-size ATX form factors. Both motherboards feature predominantly blacked-out designs inscribed with cyber-text patterns that match other recent ROG hardware. The ROG Strix B450-F Gaming stretches across a larger area with more expansion capacity for well-balanced builds. With comprehensive cooling, customization and connectivity options, dual PCIe 3.0 M.2 slots, improved DDR4 memory stability, Aura Sync and much more, this motherboard delivers excellent performance with room left in the budget for accompanying hardware. ROG Strix B450-F Gaming offers guided performance tuning and optimization via intuitive ROG software that makes it easy for experienced and first-time system builders alike to create a unique gaming rig.